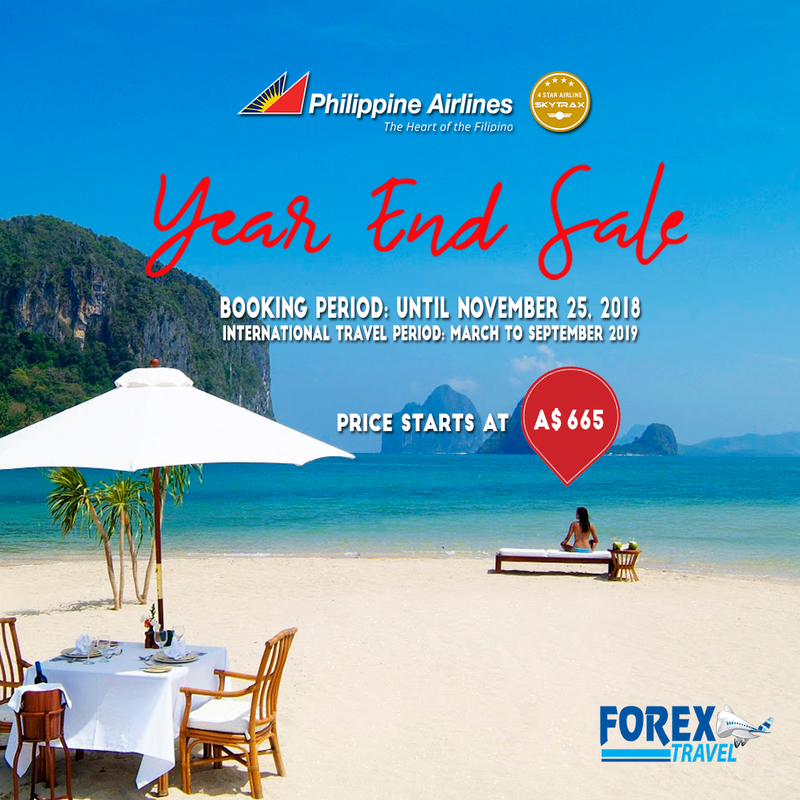 PHILIPPINE AIRLINES ECONOMY ROUNDTRIP PROMO FARES FROM AUSTRALIA TO MANILA! -Sales of this promotion are final and are Non-Refundable. Rebooking permitted with corresponding penalty but not rebookable to another promo fare. -Strictly Book and Buy Basis. Rebooking must be done more than 4 hours before the estimated time of departure(ETD). -Fare and taxes will be considered flown when flight changes are made within 4 hours from the estimated time of departure and any time after the estimated time of departure. Act Quick! Call Forextravel Australia at 02 87770060 or email reservations@forextravel.com.au.